Why should I use payable SEO software? If you want to run search engine optimization successfully, you don’t get out of using SEO software and online tools. They relieve you a lot of work, for which you otherwise have to invest a lot of time, patience and know how. And they also help you to avoid unnecessary mistakes. 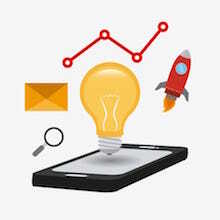 Whether keyword research, backlink check or ranking analysis: SEO software provide a lot of data that is essential for successful search engine optimization. There are a lot of free SEO tools on the internet that allow you to do a first analysis of your internet presence. What features does the tool have? Get an overview of what features are important to your SEO work. So you can quickly find out which tool offers these functions. Before you spend money on a tool, you should familiarize yourself with the functional scope. Who should use the tool? Many paid SEO tools require a solid expertise. What’s the use of the best data and analysis when the user does not know what to do with it? How much is the actual investment? For most paid SEO tools a fixed price is due for a limited time of use; usually monthly. There may also be extra costs for additional features. The opposite is the savings and the yield that the tool brings with it. In your considerations, therefore, think about how much time and resources you can save through the SEO tool. What do others think of the SEO tool? As with any online shopping, it is also reasonable to take a look at reviews and customer opinions for paid SEO tools. Who will help you with problems? Especially during the initial period, many questions and problems arise when using a SEO tool. Therefore it is important that you have a customer service at your request. Generally paid SEO software offer a free trial, where you can find out if the tool meets your needs and your workings. 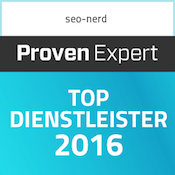 Since every SEO responsible person has other requirements, the seo-nerd gladly helps you with his insider knowledge. 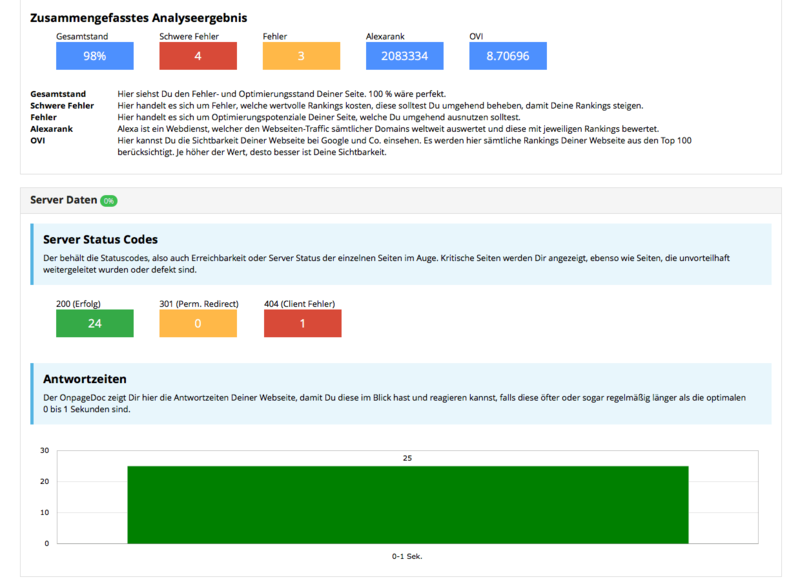 The Xovi Suite offers numerous features in one package: keyword monitoring, on-page analysis, backlink check, social signals, overview of ongoing SEA measures, affiliate tool and web analytics, to connect for example the Google Analytics account with Xovi. You can view as many domains as you like, as well as your competitors. In addition, Xovi also simplifies your project management: create reports for all your projects, receive notifications for significant changes, keep important appointments thanks to the calendar, and manage your contacts in the address book. The Keyword Research Tool helps you find more relevant keywords for your website to further optimize them. 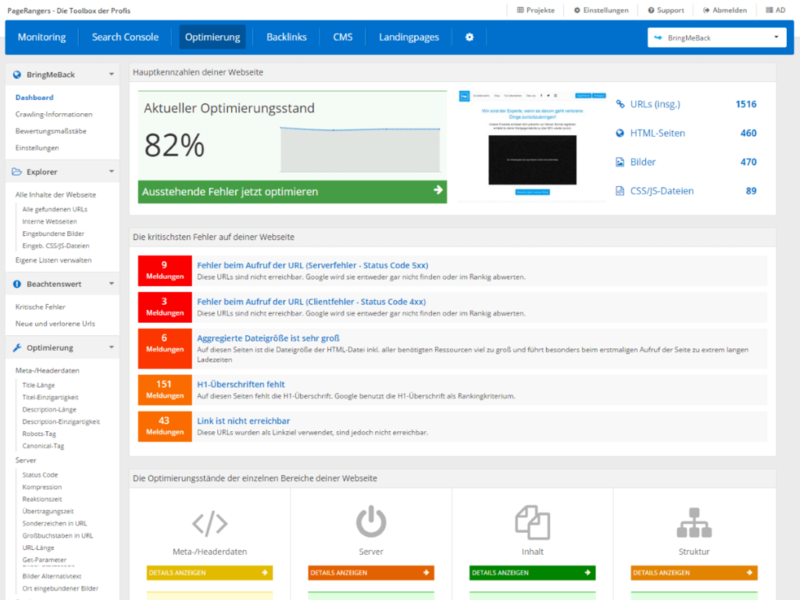 The OnPage Tool shows you broken links, duplicate content and much more and offers you thus many optimization options. Xovi is obtainable from 99 € per month plus VAT. You can try Xovi right here. Especially cool: the Position Changes Report shows you how the position of your domain and your competitors have changed. 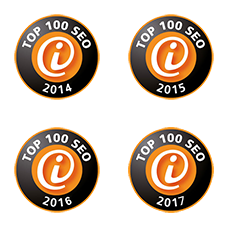 You also get an insight into which optimized keywords have made the ranking improvement possible, or by which keywords the ranking of a website has deteriorated and how many positions they have lost. With the Domain vs. Domain tool you can compare up to five domains with just a few mouse clicks and get a deep insight into the work of your competitors. The starter package from SEMRush costs $ 69.95 a month. In addition to the three standard plans enterprise solutions and custom packages can also be created. Get started with SEMRush! 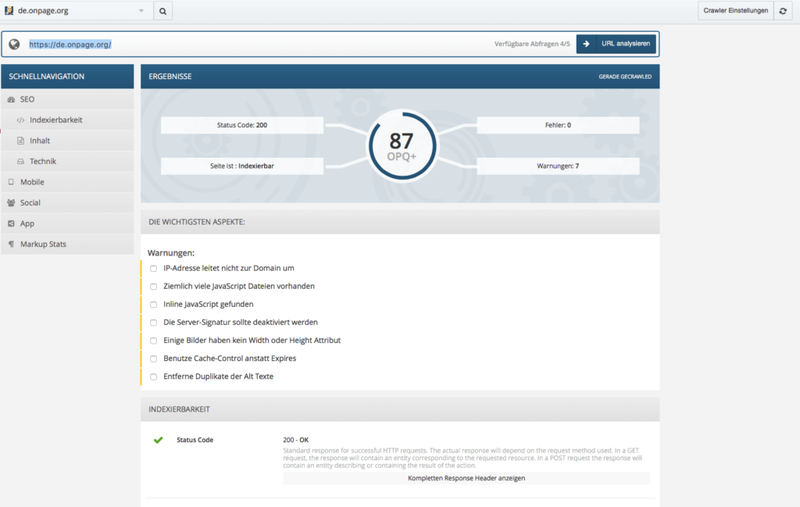 The Sistrix Toolbox is probably one of the best known SEO tools and provides a quick overview of the ranking, backlink profile and visibility of a page. With the Sistrix Toolbox, you can crawl pages and get loads of data to help you spot errors, optimize your page and keep track of your competition. In addition, Sistrix also provides many useful free tools, such as the Visibility Index or the Snippet Generator for optimized Titles and Meta Descriptions. One module at Sistrix costs 100 € per month. The more modules are combined, the lower the basic price is. Each module can be booked or canceled monthly. What the seo-nerd particularly likes: OnPage.org shows the degree of optimization of individual factors in percent. So you can see which site you should take care of first. The numerous cross-references to the OnPage Wiki help to understand the context of the individual data better. In addition, the comic style around Captain OnPage is a real eye candy. In addition to the free Lite version, OnPage.org offers four different account packages starting at 99.90 €. Here it goes directly to OnPage.org. In addition, ahrefs also checks outgoing links, i.e. links from your site to other domains. All collected data can be conveniently exported as a CSV or PDF file. 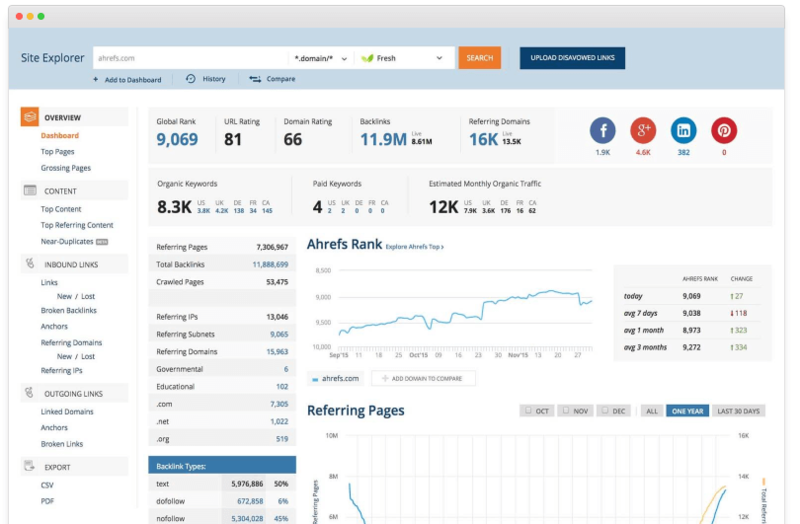 With ahrefs you can analyze both your own site and your competitors. So you can quickly see why a page is running or not. In order to constantly improve the content of your site, you can use ahrefs to identify popular content by backlinks, organic traffic and social shares, and thus advance your page. You can use the services of ahrefs from 99 $ per month. All results are illustrated in diagrams, so you can quickly see which problems are particularly urgent. After the next crawl, OnpageDoc will show you the optimization progress. With a price starting at € 29.90 per month for small projects, OnpageDoc is also suitable for small budgets. Just have a look at the OnpageDoc. The seo-nerd especially appreciates the international focus of the searchmetrics Suite. The tool scans the SERPs of up to 28 countries. Another cool feature is the keyword finder, which recommends matching suggestions for search terms and SEO-friendly URLs. In addition to the searchmetrix Suite, the light variant Essentials offers a slightly smaller range of functions, which offers the ideal entry into professional SEO. With searchmetrix Essentials, you can analyze SEO data, keywords, backlinks and social media data and monitor them over time. The searchmetrics Essential tool is bookable from 69 € per month. Here you can go directly to searchmetrics. LinkResearchTools are, like the name suggests, a collection of 20 single tools – almost like a toolbox. These combine data from up to 24 link databases, thus providing the opportunity to find the best subpages for links, to conditioning links fit for a relaunch, or to find the strongest links of your competitors. The LinkResearchTools offers a variety of packages, starting with the starter package for 149 € per month. Have a look on LinkResearchTools. PageRangers helps especially medium-sized companies to optimize websites, to find relevant keywords and to edit them optimally. Competitors can also be examined and monitored for rankings. In addition, PageRangers contains a backlink module, which monitors and evaluates your own links as well as the backlinks of the market leaders. A clear interface and a trained support team complete the offer. PageRangers is available from 24.95 € per month. The tool can be tested for 14 days free of charge. Already during the test period, the SEO experts from the provider are there to help with advice and action and teach you with a free online training by the tool. The seo-nerd would not be a real nerd, if he would not like to work with all sorts of tools and features. He loves to help you optimize your website. In addition, the seo-nerd knows that everyone starts on a shoestring, and has therefore designed for you a SEO tool, which makes you from the Noob to the expert. 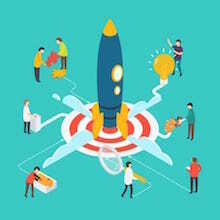 Before you get up to speed with the RankingCoach, you can check how successful you are in the search engines using your website URL and location. 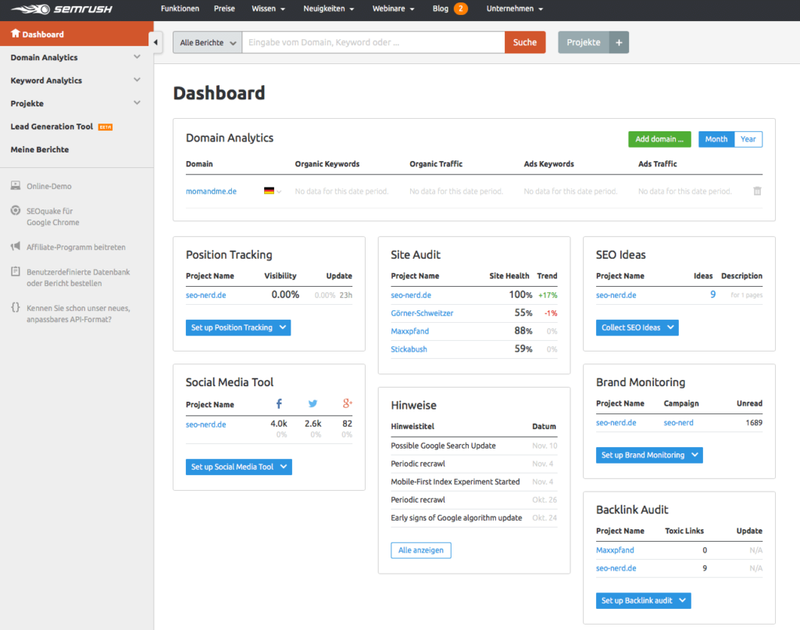 After you register you can check the progress of your SEO measures on your dashboard. 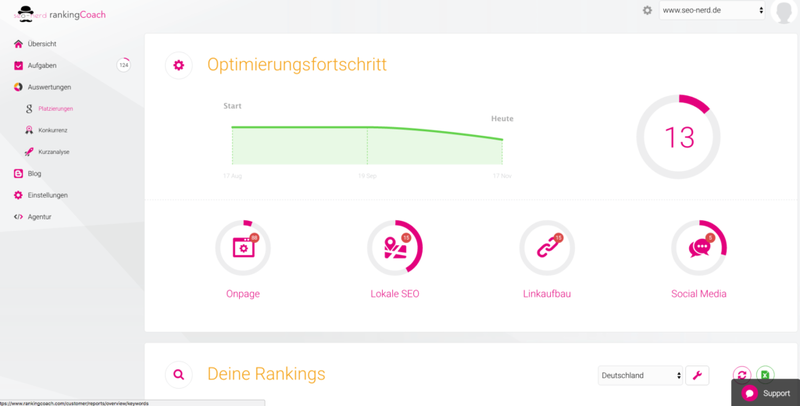 In the dashboard, the RankingCoach shows you how to optimize your page in matters of OnPage, link building, Local SEO and Social Media step by step. Do not worry, when you begin with search engine optimization as a newbie: for each task you get an explanation as well as video tutorials. 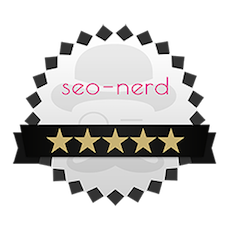 With seo-nerd RankingCoach, you can not only keep an eye on your own ranking and the search volume of your Keyowrds, but also take a close look at your competition. If you link RankingCoach to your Google Analytics account, you can create charts for your most important data. The RankingCoach is available from 49.99 € per month. Click here for the RankingCoach. The nerd is also constantly testing new paid SEO tools. So look over again and do not miss an update. About 88% of consumers trust online rating as much as personal recommendations. The tool ProvenExpert is an extensive evaluation platform, with which you can strengthen your reputation sustainably. ProvenExpert provides industry-specific templates that you can use to create customer surveys. The tool also bundles the reviews of other portals, giving your profile a broad overview of all your reviews. 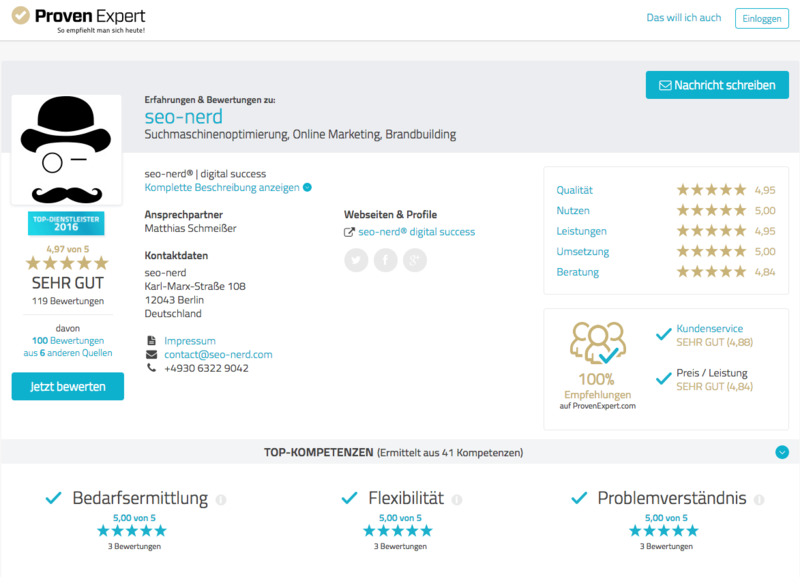 The star ratings are displayed on your profile and on the Google ProvenExpert search result. In addition, you can incorporate the rating seal, which is available in nine different variants, into your homepage. This seal acts as a clear recommendation on your website. This does not not only increase the sales and contacts, but also the click-through rate. This is an important ranking factor for Google and thus ensures a better positioning in the SERPs. The basic version of ProvenExpert is available starting at € 7.50 per month. Check out ProvenExpert now. 1. Why should I use payable SEO software?